Rückseite Homer Simpson und das Wort "D'OH" mit dem Logo von Matt Groening und Fox. Homer Simpson und das Wort "D'OH" mit dem Logo von Matt Groening und Fox. 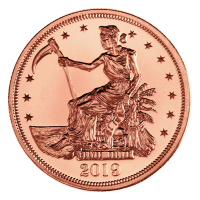 1 oz Silbermünze Homer Simpson 2019 Acquire your 1 oz 2019 Homer Simpson silver coin online at the lowest price! 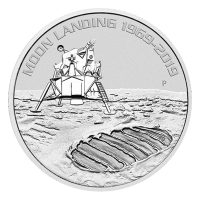 This 1 oz 9999 pure silver coin pays tribute to the iconic animated series “The Simpsons” with this spectacular coin. This cultural sensation stands as the longest running primetime show in television history, led by the legendary Character Homer Simpson. 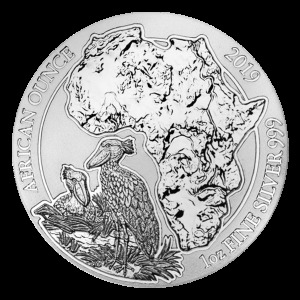 As it's reverse this coin illustrates the patriarch of the Simpson family in his classic pose, with the catchphrase “d'oh”, directly above his head. The letter “O” has been replaced with a half-eaten sprinkled doughnut, which is almost as iconic as the character himself. 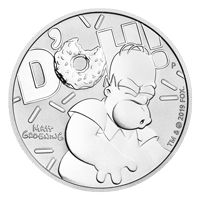 The coin stays true to creator Matt Groenings illustration, and is accentuated by doughnut sprinkles surrounding homer with Groening's name close to Homer's side. 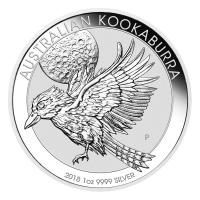 The Perth Mint's “P” is also featured on the coins obverse as a mark of authenticity. 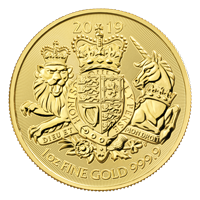 The obverse of the coin displays Ian Rank-Broadley's modern effigy of Her Majesty Queen Elizabeth II, the 9999 purity of the fine silver, its year of issue and the face value of the coin. 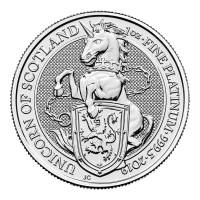 Each coin is preserved in its original original protective plastic casing, from the Perth Mint. 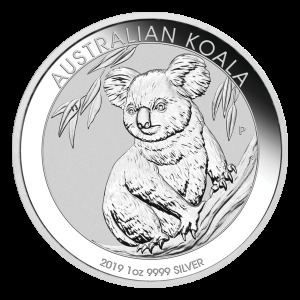 The coin is a perfect addition for both Simpsons lovers, and investors alike. 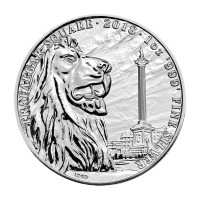 With an extremely limited mintage of only 25,000, they are sure to sell quickly. 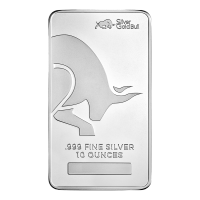 Secure yours today!